It's not your average duffel bag. Made from a durable laminate material, The North Face's Base Camp Duffel is a bomber of a bag. Amply resilient to be roughed around in-flight, or to be transported up a mountain via a yak, this is one burly duffel. A 71 liter volume provides ideal storage for weekend, or extended weekend trips lasting three to four days. It&apos;s not your average duffel bag. 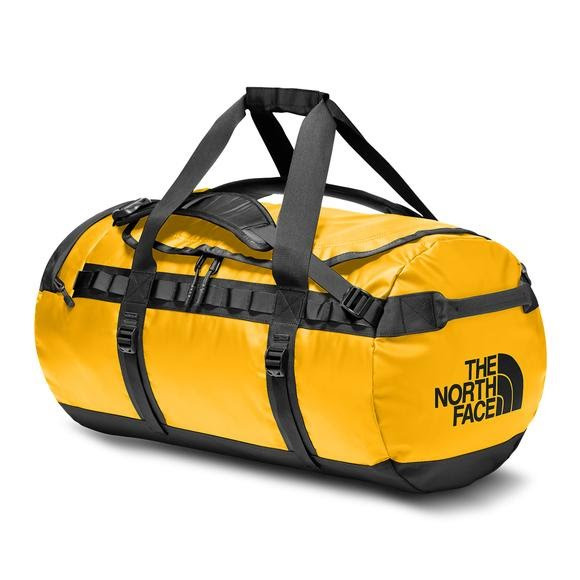 Made from a durable laminate material, The North Face &apos;s Base Camp Duffel is a bomber of a bag. Amply resilient to be roughed around in-flight, or to be transported up a mountain via a yak, this is one burly duffel. A 71 liter volume provides ideal storage for weekend, or extended weekend trips lasting three to four days. New design includes redesigned straps and a separate compartment to stash your shoes or dirty laundry.